Sabudana can be easily digested and also helps alleviate constipation and other tummy troubles such as gas, flatulence, diarrheoa, and bloating that are very common in the first year of a baby. No mum can be as worried as one whose baby has just started eating solid foods. As babies have immature digestive systems (and no teeth) it becomes an uphill task to look for ingredients that are easy-to-digest, nutritious and easy-to-swallow for the baby every single day. 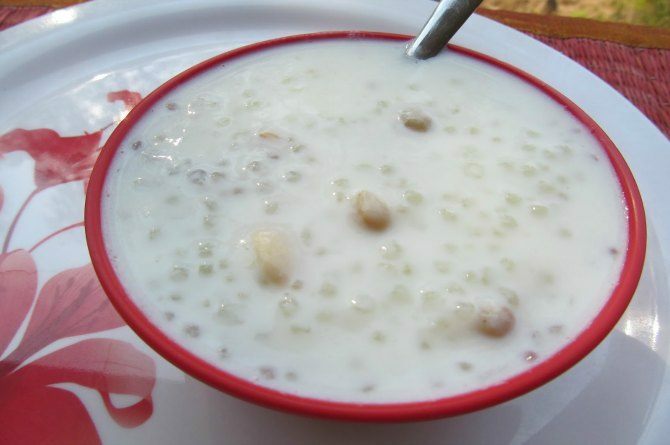 While sooji or rawa is a good option and one that is loaded with the right amount of carbohydrate, vitamins and minerals for your baby, a better choice that is easy to digest would be sabudana or sago. Obtained from the tapoica (cassavva root or arbi in hindi) root, sabudana is considered to be an excellent first foods for your baby due to the numerous health benefits that it has. 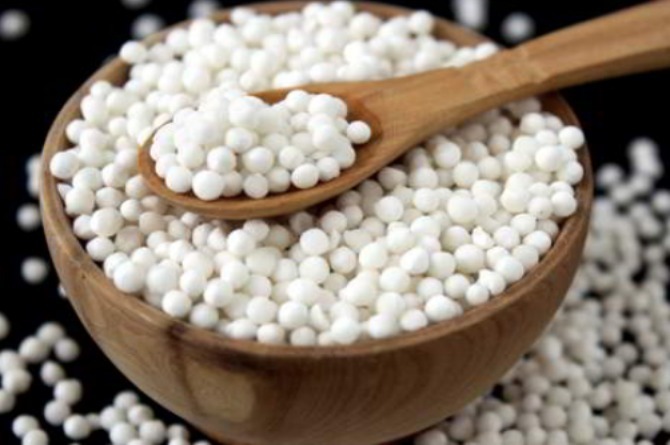 Dr Priya Bharma, Chief Nutritionist at Sri Balaji Action Medical Institute, New Delhi, says, "There are vast benefits of sabudana or tapioca as sabudana is rich in protein, Vitamin K, calcium, potassium amongst all. Sabudana is a source of protein, vitamin K and metallic nutrients such as calcium and iron which is necessary for a baby to grow, The former plays a vital role in the growth, nourishment and healing of muscles whereas the rest are responsible for maintaining the bone’s health and flexibility. It can be definitely be your baby’s first food." For babies it is very essential to have foods that are easy to digest and ones that are not that hard on their stomach. "One of the best sabudana benefits is its ability to cure general digestive ailments including constipation, indigestion, bloating and flatulence, " says Dr Bharma. Sabudana can be easily digested and also alleviated constipation and other tummy troubles such as gas, flatulence, diarrheoa, and bloating that are very common in the first year of a baby. Sabudana is made from tapioca root that is loaded with calcium, iron, potassium, and vitamin K which are the keep minerals that are responsible for healthy bone growth and development, which is crucial for babies. It can also come useful on providing calcium to toddlers who have stopped breastfeeding or those who do not like to have milk. Tapioca contains a lot of starch which is packed with the right carbohydrates that would help your baby be energised throughout the day. Filled with carbs, tapioca root helps babies gain weight easily and is also nutritious at the same time. Not only is it cheap, it can also be the perfect food for kids who suffer from an eating disorder, or those who are picky eaters. "As sabudana is rich in its carbohydrate content, it is useful in rejuvenating baby’s energy levels and helps in healthy weight gain and also increases the height, " says Bharma. It is better than most supplements available in the market. Sabudana can be an excellent summer food as well as Ayurveda says that it helps regulate the body's temperature. Read more about the other health benefits of sabudana on the next page! Sabudana is also a good source of protein and aids muscle development, strengthening them in the process. Protein is also crucial for cell repair and cellular functions. The food for babies should be high in nutrient content and should be stomach filling. As sabudana digests slowly, it remains in stomach for more time thus ideal if you are looking for stomach-filling food. Sabudana can be easily given to babies above six months of age. However, please be careful that you give only one new food at a time and also give a small quantity in the beginning. For seven-month-old babies, it is advisable to give not more than one to two tablespoons of sabudana in the beginning. This helps you understand if the baby is able to digest the new food and also help in detecting any allergic reaction that they baby might have. The best part about sabudana is that it can be made used in a variety of forms-- sabudana vadas, kheer and sabudana khichdi. While vadas are really yummy and make your mouth-water instantly, they should not be given to small babies as they are fried. Here are 2 easy sabudana recipes that you can give to your baby. 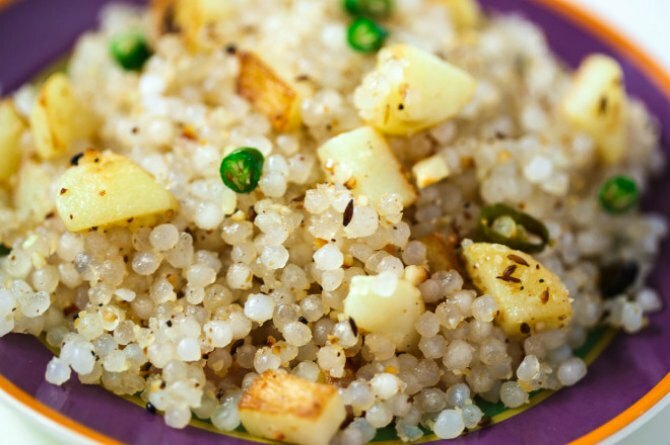 Sabudana Khichdi: Soak sabudana as above and keep aside. In a pan take very little ghee and add a pinch of hing and cumin seeds. You can also add a few pieces of boiled potatoes and other vegetables of your choice. Add soaked sabudana and saute for a few minutes. You can add a little water to make it a little soft for your baby. Watch: This video of babies talking about their mothers will make your day!